The Cards made all the wrong kind of history Tuesday night. From about 10 p.m. on, it was clear that Tuesday night was going to be one Louisville fans remembered for a long time. As I write this, it’s now excruciatingly clear that the evening will be one no Cardinal fan who experienced it will ever be able to forget. Louisville led No. 2 Duke 59-36 with 9:13 to play. Louisville lost to No. 2 Duke by a final score of 71-69. The blown 23-point lead is the largest in the history of Cardinal basketball. 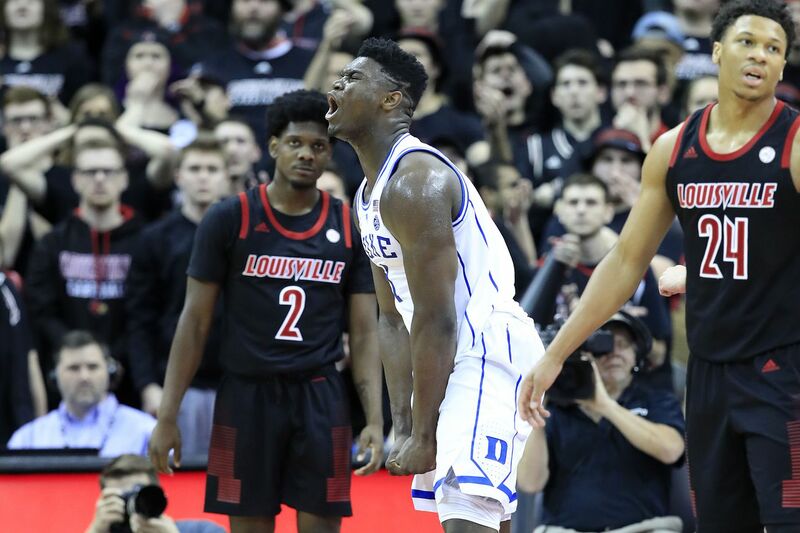 What appeared destined to be a victory with the potential to propel this U of L team to loftier heights than anyone could have imagined is now a defeat that threatens to derail much of the positive momentum the 2018-19 Cards have fought to establish over the past three months. I’ve been sitting here staring at this thing wondering what to write for like 45 minutes, and the truth is I’ve got nothing. I don’t know where to take this. In the game’s final four minutes, a Louisville team that had built a reputation on toughness and a refusal to wilt went turnover, turnover, turnover, made three-pointer, turnover, missed layup, turnover, missed three-pointer, missed jumper over its final nine possessions. If the Cards simply hold the ball and do nothing for 30 seconds on each of those possessions then they win the game. Zion is awesome, the crowd was tremendous, Reddish was great down the stretch, the three missed front ends felt like when things started to turn, I’ll be seeing the CC slip and fall in my nightmares for the rest of the week, and the overturned charge call was the perfect “f—k you” ending to one of the most excruciating evenings as a sports fan than any of us are likely to experience. I think that just about covers everything else. The question now becomes whether or not this team is able to regain some of the confidence that had to have been stolen by what transpired Tuesday night. They’re still in much better shape on Feb. 13 than anyone expected to be heading into the season. Although that’s a truth that I imagine is pretty hard to accurately process right now. I need to sit a couple days out. We all do. But we won’t. I’ll write some more tomorrow and we’ll all soldier on together. This article was originally published at http://www.CardChronicle.com (an SB Nation blog). If you are interested in sharing your website's content with SCACCHoops.com, Contact Us.